Johnny Was is an excellent thriller with a twist. Johnny Doyle (Jones) is trying to live the straight and narrow. He lives in a flat between a Rasta DJ named Ras (Lewis) and Julius (La Salle), a psycho drug dealer. Then out of nowhere, Johnny's old partner in crime Flynn (Bergin) shows up. The cops are after Flynn, and Johnny lets him stay in his house. But there are tensions between Flynn and Julius. What's really good about this movie is the acting. 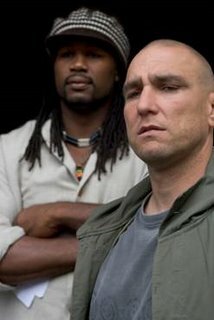 Vinnie Jones is perfect as the title character. Eriq La Salle almost steals the movie... In a good way. The title makes sense, and the ending is very different. The movie has a mixture of styles that work. 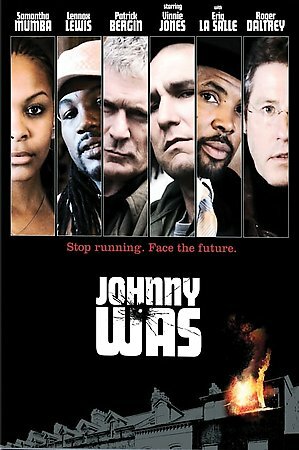 Johnny Was is one of the most entertaining movies of the year, and I highly recommend it. I definitely had mixed feelings about this movie. It was really good when I was watching it, I enjoyed it, and then a couple days latter I couldn't remember what the hell I'd just seen. Excellent cast and excellent performances, but something about it just didn't quite stick. I agree with you M. Hufstader. The cast was excellent and the movie was fun, but it does disappear from memory quickly.